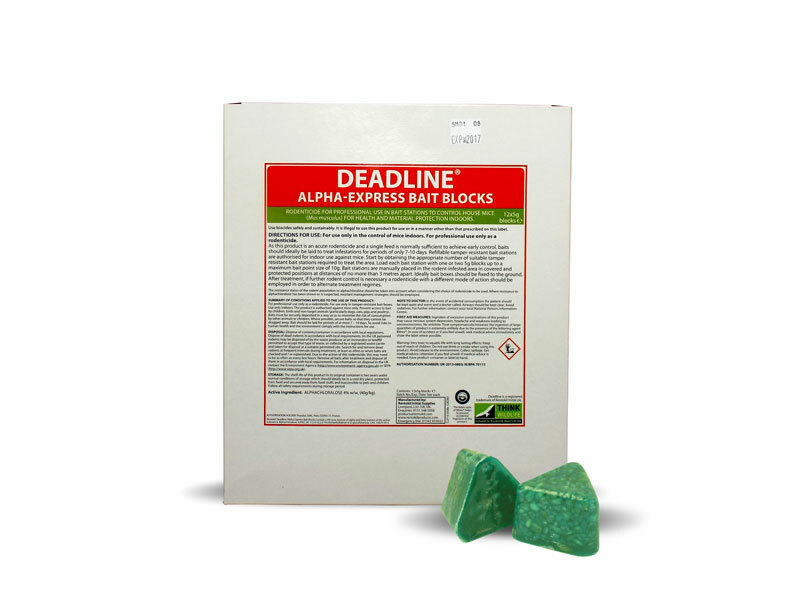 Alphachloralose is an acute-acting active substance that has been newly formulated and especially designed for use in tamper resistant bait boxes. For fast and effective control of mice indoors in a wide variety of locations. Only a small scratch from a mouse’s incisors on the block’s surface is sufficient and just ‘sampling’ of the bait is often enough to kill.